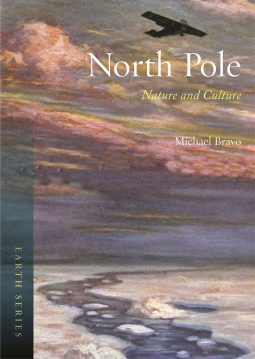 North Pole: Nature and Culture by Michael Bravo is a history of the North Pole from ancient to modern times. Bravo is the University Senior Lecturer and Fellow of Downing College Convenor of Circumpolar History and Public Policy Research, Scott Polar Research Institute. Member of the Department of Geography’s Natures, Cultures, and Knowledges Thematic Research Group. Research Associate in the Department of the History and Philosophy of Science. I picked this book up thinking it would be a geography or environmental studies book. 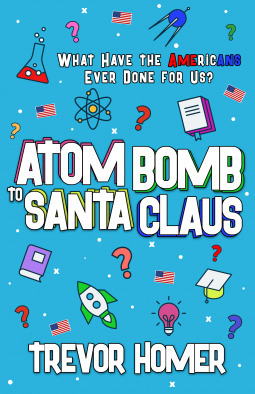 Instead, it is a detailed history of the North Pole. From the ancient Greeks to the Induits, the pole proved mysterious place. It could be an Eden or a window to the firey interior of the earth. Even 19th-century writer Mary Shelley thought of it as a mysterious place to start and end her book Frankenstein. The pole affected map making too. The Cordiform projection of the world was widely used after the Middle Ages its heart shape not only presented the earth as the heart of the universe, it also kept the pole area intact to display what may be there. The North Pole is the axis that the earth spins on which is different than the magnetic north pole that lodestones and compass needles point to. Even the North pole itself does not seem like a fixed location. Since there is no land under the ice sheet at the pole, the position on the ice appears to move; there can be no permanent marker on the ice. Early explorers had a difficult time fighting against the elements and organizing logistics in reaching the pole. The race to the pole was something almost mythical; it rivaled the much more economically important Northwest Passage. Today GPS, lightweight sleds, and other technology make reaching the pole easier. In fact, every year there is a marathon ran at the North Pole. It is a place that is much more accessible than the South Pole. Bravo presents an excellent history of the North Pole and the people who lived there, explored there, or dreamed of the pole. The book is nicely illustrated with maps, portraits, expedition photos, and even newspaper cartoons. He focuses on relationships and family. Childhood memories come flooding back. He also thinks of his health and things we all do that we shouldn’t — from soda to greasy foods. But apples and bananas do come to the “rescue.” King’s heritage softly comes into play through his parents and food, especially curry. 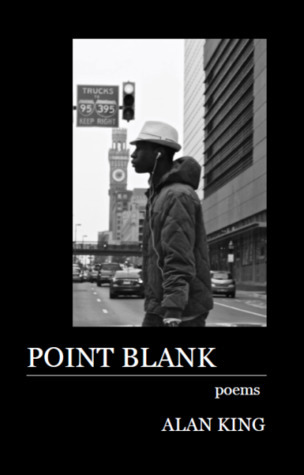 The poems are real poetry and not current platitudes that are played off as poetry. There is art in King’s writing and unity in his voice. 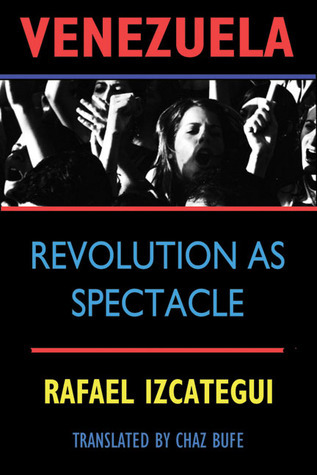 Venezuela: Revolution as Spectacle by Rafael Uzcátegui examines Venezuela’s Chavez era from the inside. Uzcátegui is a libertarian which unlike the US term means anarchist or complete freedom. He is critical of supporters and critics of Chavez. The problem with words is that definitions become slippery at times. Chavez was a fascist. Chavez was a socialist or communist. Chavez was a left-wing dictator. Uzcátegui calls him a populist which is as good of a definition or even better than the other terms. Dictators in the Cold War were either left wing or right wing depending on where their support came from. The governed in precisely the same fashion with left and right merely used as “team” identifiers. Jean Kirkpatrick stated the difference was that right-wing dictatorships were more easily converted to democracies. Populist governments have their place in history and in current governments. Tell the people what they want to hear. Deliver on some of it. Other items blame the other party or an enemy. This keeps the masses active in supporting the government. Jesse Helms probably did more to secure Castro’s power by his hatred of the man and his government than cause any harm in Castro’s popularity. Castro played Helms right back on to the Cuban people as a threat from the US. Chavez used the same US threats to help secure his power and keep him in power. Uzcátegui examines indicators like murder rate, labor unions, militarism, and the new Consitution. Restrictions on education, labor, and political dissent were prohibited in the constitution but existed and/or expanded under it. Oil was still leased out to multinationals instead of being used to better the country. Changes in the country proved to be more restrictive than liberating. The left in the United States jumped on the Chavez bandwagon thinking this would be good socialism much like they did with Stalin in the 1930s. Examining the surface does not tell what is going on beneath the veneer. This book does have a role outside of Venezuela as a study in populist movements. Most movements follow some form of nationalism and an enemy inside or outside of the state. Propaganda takes the place of news and generally is not challenged. Rousseau’s General Will comes into play as an anti-democratic force. The government is popularly elected, and that government is the will of the people. If you disagree with the government or its leaders, you are a minority going against the majority. That makes you anti-(insert country name). If you are part of an opposition party that makes it almost treasonous. There are several times in US history where populism has risen and quickly disappeared. There are even arguments that the current administration is not conservative but populist. The ordinary worker against the elite (even though the one leading is not a worker, but a billionaire) is common refrain today — the elites on the coasts vs. the workers in the heartland. Uzcátegui through documenting the Chavez regime not only supplies a history but it also provides a blueprint of populist governments. This book was published in 2011 during the Chavez regime. It is translated by Chaz Bufe who not only translates it from Spanish but also does additional editing to the text and source material. He claims just to consolidate and remove nonexistent websites and content. A fascinating history and explanation from the inside of Venezuela of the workings of populist regimes . 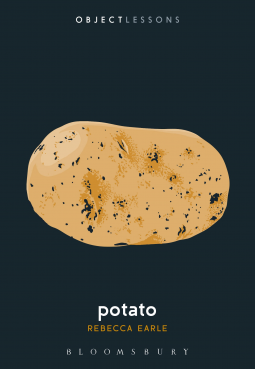 The potato is probably the world’s most underappreciated food. In South America, it did not get the ceremony of corn, but it did travel the world and quickly after they were discovered. According to the United Nations, the potato is grown in every country of the world (five nations, however, provided no information). Potatoes thrived in South America but failed catastrophically in Ireland due to a blight. South American’s crops, however, were not monocultures like the Irish, several varieties were grown together. Just about every culture has potato dishes from the Americas, through Africa, the Middle East, and China. China now is the largest producer of potatoes in the world together with India they account for 1/3 of the worlds potato production. Even Saudi Arabia produces close to half a million tons of potatoes. Potatoes have been credited with growing community, self-sufficiency, tax evasion, evil (since they are not in the Bible), and hypertension, Rebecca Earle’s Potato shows the potato in its historic role in the west and now around the world. The potato proves to be a staple with little fanfare, except for a few poets and painters, despite its worldwide popularity. City of the Shrieking Tomb by Patrick A Rogers is a gripping tale of horror. Rogers opens the book with an excerpt from “The Unseen Nooks of India” giving a history of the region and surrounding lands and mentions a city where foreigners are not permitted. There is also a link if you have information concerning this city of Humayunpur. The story involves a photographer named Rick who is on his way Bidar to photograph Islamic architecture. Stuck for the day he manages to meet Awaz who informs him that the bus he is taking will go to Bidar after stopping in his hometown of Humayunpur. Faster than you can say Necronomicon, Rick, through events beyond his control, finds himself stranded in Humayunpur and a guest of Awaz. Awaz is a kind man but often speaks in riddles or in circles. 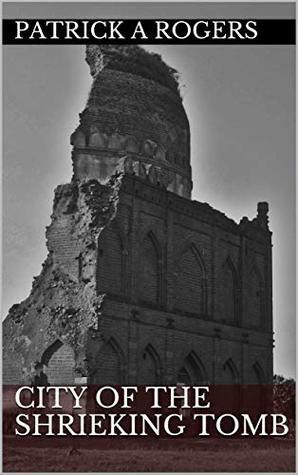 The city that does not like foreigners certainly does not like people taking pictures of their town, especially of Humayun Ka Maqbara — an ancient mosque in ruins. Humayun Ka Maqbara is off limits to all because it is dangerous. The danger lays in bumping your head is the best answer a frustrated Rick can discover. Awaz receives permission through the local iman for Rick to see, but not photograph Humayun Ka Maqbara. Rick become deeply obsessed with the mosque. Rick faces a challenge as the city seems to get weirder and even cursed the more he investigates. The deeper he looks, the more he wants to break his promise of no pictures. The cover of National Geographic or keeping his word and leaving the town becomes an internal battle. Awaz and others try to persuade Rick to go but each clandestine discovery pulls Rick closer to the secret of the city. Very much a Lovecraft inspired story where the darkness and despair grow through the story leaving one in an irrational world that slowly evolved around him or her with little notice. Very well done. 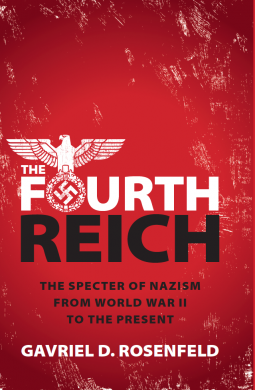 The Fourth Reich: The Specter of Nazism from World War II to the Present is an incredibly detailed history of the concept of the Fourth Reich. The fear of the Nazi return to Germany was real after World War II. The war did not end suddenly, and resistance continued even after the German surrender. The partition of German was also a result of the fear that any German government would lead to a return of the Nazis and war. The Fourth Reich became boogeyman in post-war history, and its meanings were varied. A German Jew, Georg Bernhard, helped draft the constitution for the Fourth Reich. His Germany was committed to peace and equality. Reich in its most basic sense means realm, and it had no adverse connotation before WWII. When West Germany was allowed self-government in 1949, it chose “Federal Republic of Germany” instead of Reich. Naming itself a republic, however, did not stop the elements on the right from wanting to reestablish a Nazi-like regime. The idea of a new German Reich rose and fell in public view. By the 1970s, West Germany was seen safe enough that American entertainment took hold of the Nazi return. The Boys from Brazil and The Odessa File became hit books. Who could forget the German dentist in Marathon Man? There were real and fictionalized stories of Nazi hunters. There was also a rise in Neo-Nazism in the US during the 1970s making national news with the Stokie Supreme Court case. Today, the threat seems more serious as right-wing parties are gaining strength in Europe. In the US, the far right wing and the far left clashed in the streets of Charlotte and other cities. Internet publications like The Daily Stormer and Breitbart spread the word to a worldwide audience. Author, Gavriel D. Rosenfeld is Professor of History and Director of the Undergraduate Program in Judaic Studies at Fairfield University. He received his Ph.D. in History from UCLA in 1996. The Fourth Reich is a detailed history of a movement that has not materialized. Over one-third of the book is reserved for documentation and source material. An extremely well-done and well research history.